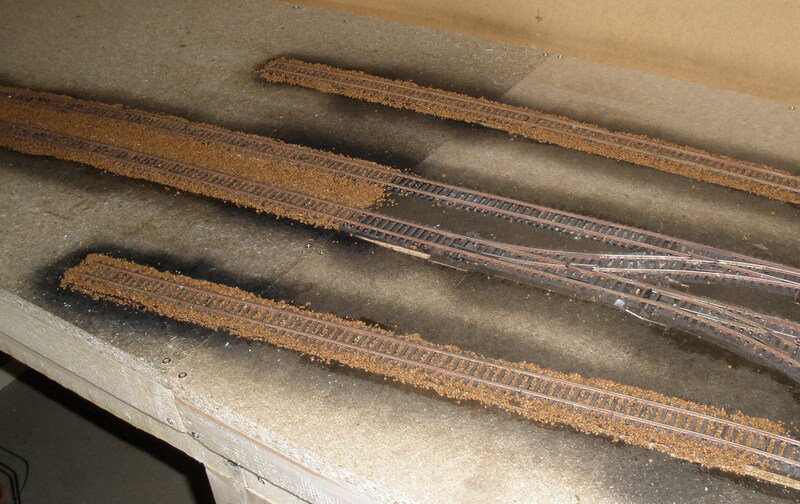 Time to get a bit of scenery in place starting with a few hills - having a stock of hardboard offcuts I decided to build the skeleton outline of hills out of the stuff; then a quick visit to the garden shed for the chicken wire to cover the skeleton. 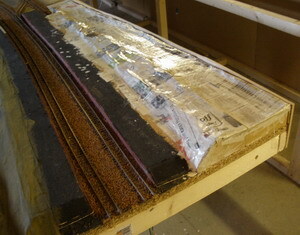 Finally back to school and that old faithful newspaper,flour and water to cover the wire (its cheaper than plaster cloth); however don't forget to seal it with a layer of PVA glue otherwise it will break down eventually. 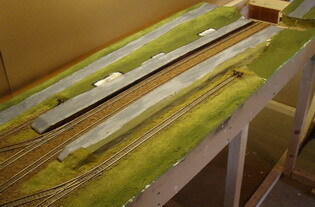 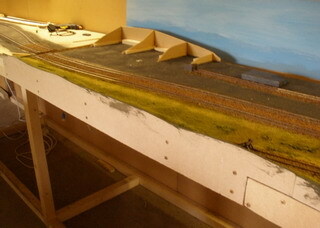 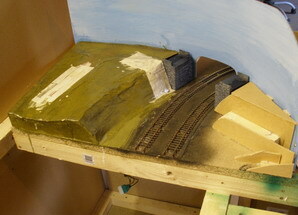 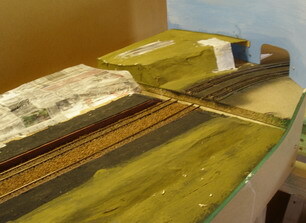 The pictures below show this process in various stages plus the beginnings of a scratch built bridge.